Diwali is made of 100% Curly Non remy Hair Extensions. Diwali Hair is minimally processed. Our gentle diwali dyeing process keeps the integrity of the hair at its finest, giving you gorgeous color and long lasting hair. All Human Hair tangles to some extent, and depending on the texture as compared with your one natural texture it could cause it to tangle. No human hair is perfect. 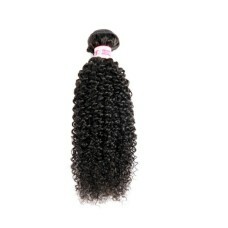 Curly Non remy Hair Extensions it is very shine, soft, thick and no tangle and no shedding, with high quality. So they can be curled, flat ironed or styled just like natural hair. It is wiser to invest in high quality Non Remy hair that you can expect from Diwali Hair because wear time & durability will last a longer than other brands. 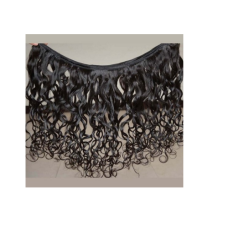 Curly Non Remy Hair Extensions need to take good care of it. It’s important to use a good conditioner and a good shampoo this will help keep your hair from becoming dry, damaged, and brittle. I can honestly say, they are amazing diwali brand. 14" Curly Non Virgin Remy hair extensions 1 BundlePack 1 BundleWeight 100 gms ( each hair extension ..
18" Curly Non Virgin Remy hair extensions 1 BundlePack 1 BundleWeight 100 gms (each hair extension ..
Curly Non remy Hair Extensions, Indian hair, European hair, Brazilian hair, Malaysian hair, Ch..
Curly Non remy Hair Extensions, Indian hair, European hair, Brazilian hair, Malaysian hair, ..
26" Curly Non Virgin Remy hair extensions 1 BundlePack 1 BundleWeight 100 gms (each hair extension ..
28" Curly Non Virgin Remy hair extensions 1 BundlePack 1 BundleWeight 100 gms (each hair extension ..
30" Curly Non Virgin Remy hair extensions 1 BundlePack 1 BundleWeight 100 gms (each hair extension ..